Let Aloha Hula Show transport you to the beautiful islands of Hawaii. This Hawaiian hula dance troupe brings their amazing dancers, live luau music and lively fun to your event location in NJ. The Aloha Luau Show offers three packages for all types of Hawaiian themed parties. 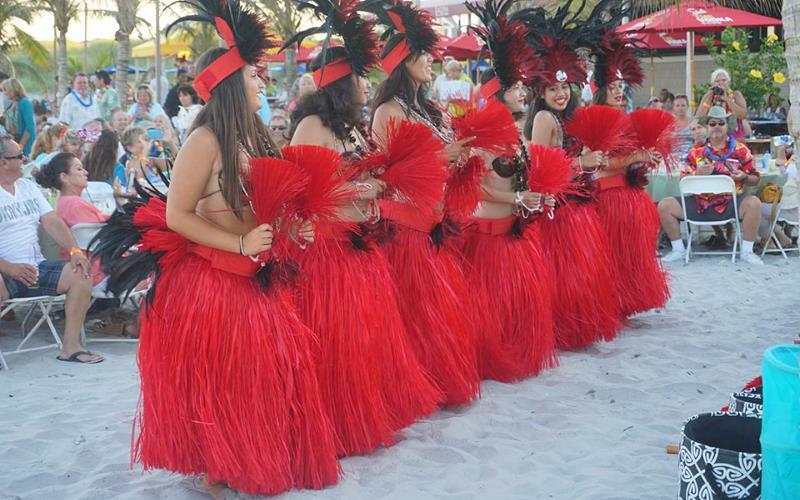 The Tiny Bubble package will bring one or two Hawaiian hula dancers to your event. Your guests will enjoy an exciting hula show and even participate in the dancing! The Medium Coconut package includes 2-3 Polynesian dancers, a ukelele player and a Tahitian drummer. The Big Kahuna package features an exciting combination of dancers and live musicians to create a complete luau experience at your event venue, wedding or even your backyard! The Aloha Luau Show comes to you!